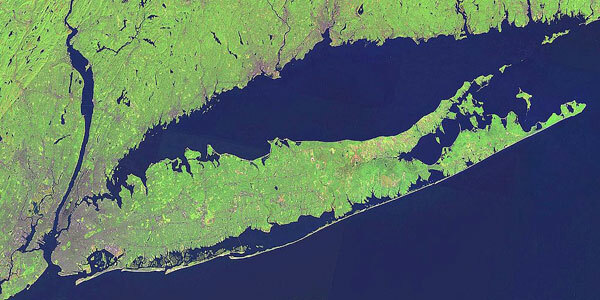 A trove of information gathered by citizen scientists over four decades has added to the picture of how quickly climate change is affecting the Long Island Sound, which is bordered by Connecticut, New York City, and Long Island. Citizen scientists are the volunteers, the students, the ones who consistently show up to measure, document, gather data, and learn. Their participation in a “collaborative scientific process” can help move the needle as non-scientists work with scientists to gather data, collaborate with actual analysis, and even co-create projects from design to analysis. Their contributions allow projects to scale up and keep going. The citizen scientists of Project Oceanology, a nonprofit located in Croton, Connecticut, operate from a 22,000-square-foot educational and research facility right on the water. Project Oceanology was started in 1972 by teachers and administrators from schools in southeastern Connecticut. They focus on the marine environment in collaboration with universities and other educational institutions and have a budget of about $1.2 million. On one of their research boats, students go out into the Thames River off Groton and learn how to measure water temperature, test the pH (acidity) and oxygen levels, and examine crabs, fish, and snails. Next year, the millionth student will step aboard one of those vessels. In all that time, over 45 years, Project Oceanology has kept the measurements of the water conditions, along with fish and invertebrate data, made by each student on every boat trip, on protocol sheets. The sheets have been stored dutifully in metal cabinets. The data drew a clear picture, showing that the temperatures in the eastern end of the Long Island Sound, which is part of the Northwest Atlantic shelf, have steadily increased, warming at a rate four times faster than the oceans, 0.45°C every ten years. Some areas of the shelf have heated up faster than 99 percent of all the Earth’s oceans. This has affected cold water species, with a decline in the American lobster, rock crab, and winter flounder. The four decades of data also demonstrate a pH decline, creating an acidity from increases in carbon dioxide and runoff that contains things like nitrogen from fertilizers and septic tanks. The acidification of the Long Island Sound is happening more quickly than other global waters. The data also showed a slight improvement after New York and Connecticut began to address the runoff problems, around 2000. Precious sites, even graves, are not safe from climate change.